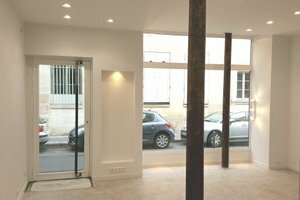 This modern 37 sq m gallery and retail space is located among designer retailers in the heart of Le Marais. 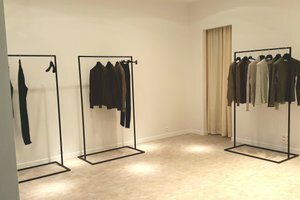 It is ideal for pop-up stores, product launches and Fashion Week showrooms. 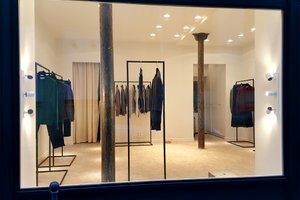 The exterior of the store is modern and newly refurbished, large window display provide excellent exposure whilst allowing a radiant light to enter the space. The interiors are pristine with white walls, concrete floors and contemporary furniture. There are a wealth of modern display options including counters and tables. 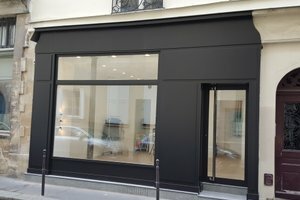 Advantageously situated among highly reputable designer labels and prestigious independent art galleries, this is an outstanding opportunity for brands to align themselves with up-market retailers and gain exposure.